Do you ever feel guilty throwing away or recycling good containers? Those hundreds of baby food jars, or pickle jars, or yogurt containers…we go through so many bottles and containers in our kitchens. If you are anything like me, you think, "Oh I know I could use this for something, I just know I could." And for how expensive tupperware or fancy storage containers are it seems a waste to just throw out containers you've already bought. 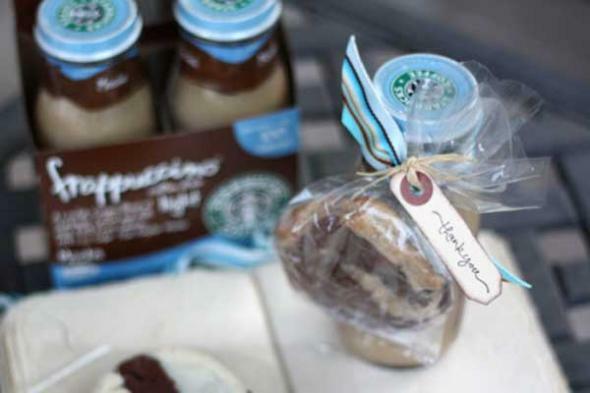 Why not reuse your many containers for gifting during the holidays or storing goodies in your home! It is a simple and quick do-it-yourself project that will make you feel you're doing your part to keep this season green. 1. The Waxy Candle Jar: First stick your candle jar (without the lid, if your using the awesome big candles with the glass suction lid) in the freezer for about an hour. Then after you take them out the wax may just fall out, if not get a knife and chip it out. It should break easily and come out in chunks. You can even save that extra wax and remelt it in a tart burner or candle warmer. If there is any glue from labels or residue from the wick you can soak a cotton ball in Goo-gone and get it off quick. Then the last step is to wash it up like a normal dish. Now you have a super cute storage jar with a great lid! 2. 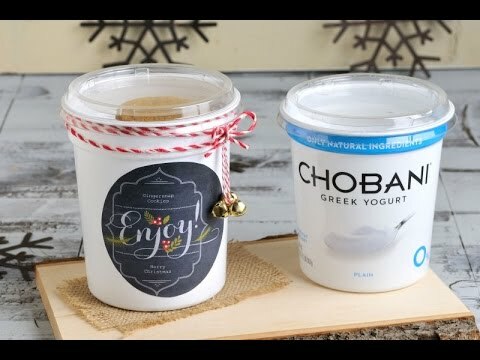 Plastic Food Containers: Repurposing plastic food containers for other storage needs is a great idea especially when you can remove the print on the containers. It is quite easy to do. You will need pure acetone (found near nail polish section of most stores) and a rag. You simply soak a rag in acetone, cover container with it and let it be for about 5 minutes. Then wipe off! You may have to repeat this if it doesn't come off that easily since some brands of containers are easier then others. 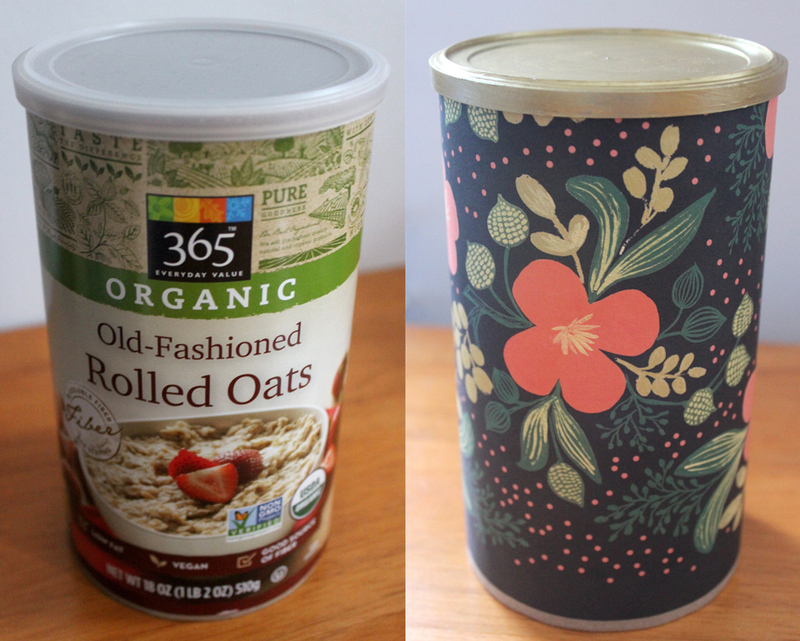 These are the containers we all buy tons of, so get wiping those labels off and reusing them! 3. 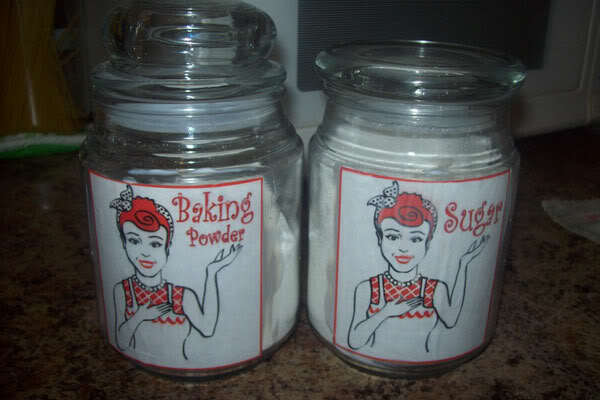 Glass Labeled Bottles: Get this, all you need is baking soda and vegetable oil! Goo-gone can be expensive, messy and also is a chemical you may not want in your cupboard. This way using materials you probably already have in your kitchen to! Remove the paper part of the label on your jar, then mix up equal parts of your baking soda and vegetable oil to form a runny paste. Apply a thick layer of it on the jar and smear it all over the gluey sticky part. Let it sit 10 minutes or so. Take a paper towel and wipe away the paste from the jar. All the adhesive that was on the jar should now wipe away with the paste. Give the jar a good wash with soap to get the oil residue off and then wallah you've got a crystal clear jar to use! 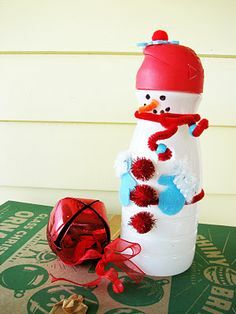 Have fun decorating your containers for gift give aways or enjoy storing craft supplies, cooking ingredients, food storage or anything in them! I hope you'll think again about throwing away that container you just emptied from your fridge. Try and upcycle this season and enjoy 'free' containers you can get great use from! Join the Cook'n Club and get newsletter articles like this each week! What is a White Elephant? Kids These Days Will Never Know the Struggle!